"Today we are launching the biggest advancement in the history of iPhone," declared Apple CEO, Tim Cook yesterday. Apple unveiled two new versions of its top selling product, the iPhone 6 and iPhone 6 Plus. Both smartphones will run on Apple’s latest operating software, the ios8, which Apple claims is 25 percent faster than previous models. The iPhone 6 will be available at a starting price of $199 for the 16 GB version, goes up to $399 for the 128 GB version. The iPhone 6 Plus starts at $299 for 16 GB, $399 for 64 GB and $499 for 128GB. Both smartphones come with Retina HD displays and ion-strengthened glass which curves around the side of the phones, meeting the anodized aluminum backing. In response to consumer preference for bigger screens, the iPhone 6 sports a 4.7 inch screen whereas, the iPhone 6 Plus comes with a larger 5.5 inch display. 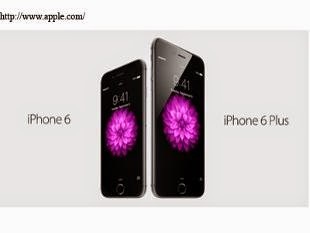 Both have thinner frames than earlier models with the iPhone 6 at 6.9 mm thin and the iPhone 6 Plus at 7.1 mm thin. The new iPhone’s A8 64-bit processor runs 25 percent faster than the chips in previous models, and come with a new motion processor for fitness and health-related applications. While Apple claims that iPhone 6 Plus has 24 hours of 3G talk time, the iPhone 6 is said to have 14 hours of 3G talk time. The two new iPhones also have better battery life including 50 hours of audio playback and 11 hours of video watching for the iPhone 6. Both phones have an 8MP camera with 'True-tone flash', 1.5 micron pixels with an iSight sensor for stabilization. The iPhones are available in three colors gold, silver, and space gray. Apple also unveiled the first modern smartwatch, which will launch early next year, starting at $349. The Apple Watch requires the iPhone to use and is primarily tied to fitness activity. The company also announced Apple Pay, a mobile payments service that uses near-field communications technology. Apple Pay enables consumers to make payments with participating outlets with a swipe of an iPhone or an Apple Watch. Cook claims the system is more secure than credit cards, which have come under increasing attack by hackers in recent months. Are Your Passwords Protecting You?